Get your taste buds ready for the return of one of Knott’s Berry Farm‘s most popular seasonal events. 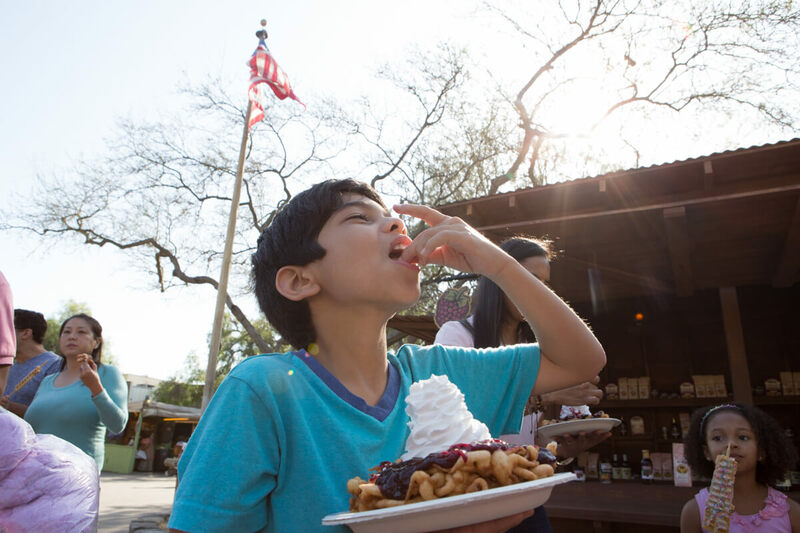 This spring, the Southern California park will welcome back its famous Boysenberry Festival, which has now been expanded to a full three weeks. 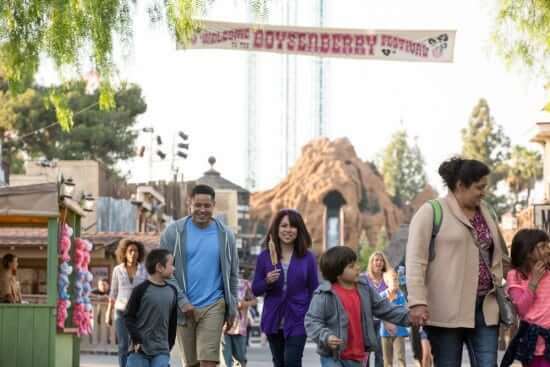 Between April 1st and April 23rd, guests at Knott’s Berry Farm can enjoy over seventy “one-of-a-kind boysenberry-inspired dishes”, plus wine, craft beer, and live entertainment. For 2017, the mouthwatering line-up of boysenberry inspired dishes will feature irresistible boysenberry pizza made with arugula and goat cheese, the unforgettable and delicious new ravioli dish packed with boysenberry flavors, freshly-baked boysenberry fry bread and lip-smacking corn on the cob with boysenberry butter and mayo, each dish will leave guests wanting for more. Other must try items include crispy deep fried alligator bites paired with farm-made zesty boysenberry aioli, finger-lickin boysenberry BBQ wings, savory boysenberry meatballs, sweet boysenberry cream soda, creamy chocolate covered boysenberry cheesecake on a stick and many more delicious treats. Live shows will include Snoopy’s Boysenberry Jamboree, the Ghost Town Miners, the return of the Old Time Melodrama to the Bird Cage Theatre, and the of course the toe-tapping musical stylings of Krazy Kirk and the Hillbillies. In addition, guests will now be able to enjoy a ten-minute short film inside Ghost Town’s Town Hall, detailing how Knott’s Berry Farm founders Walter and Cordelia Knott originally cultivated the boysenberry. Be sure to visit Knott’s Berry Farm’s official website for more information and advance ticket sales to this year’s Boysenberry Festival. Images Copyright Knott’s Berry Farm. Thank you for another excellent article. Where else could anybody get that type of information in such an ideal way of writing? I’ve a prensetation next week, and I’m on the look for such info.